Researchers say they have developed a new molecule that has the potential to stop the common cold in its tracks. The molecule, created by scientists at Imperial College London (ICL), has been shown to block several strains of rhinovirus, the most common type of respiratory virus. It combats cold viruses by targeting the protein that viruses use to construct a capsid, a shell that protects the virus so it can multiply. Early in vitro tests with human cells showed that the new molecule (codenamed IMP-1088) successfully blocked the replication of rhinovirus strains. "A drug like this could be extremely beneficial if given early in infection, and we are working on making a version that could be inhaled, so that it gets to the lungs quickly," said Ed Tate, the study’s co-author. Every strain of the common cold latches onto the protein known as N-myristoyltransferase (NMT). The researchers say the new molecule has the potential to prevent cold viruses from using the protein. Additionally, IMP-1088 could eventually be used to prevent related viruses, such as foot and mouth disease and polio. The team was encouraged by the molecule’s effectiveness in cell models and hopes to move to animal and human studies soon. “The way the drug works means that we would need to be sure it was being used against the cold virus, and not similar conditions with different causes, to minimize the chance of toxic side effects," he says. 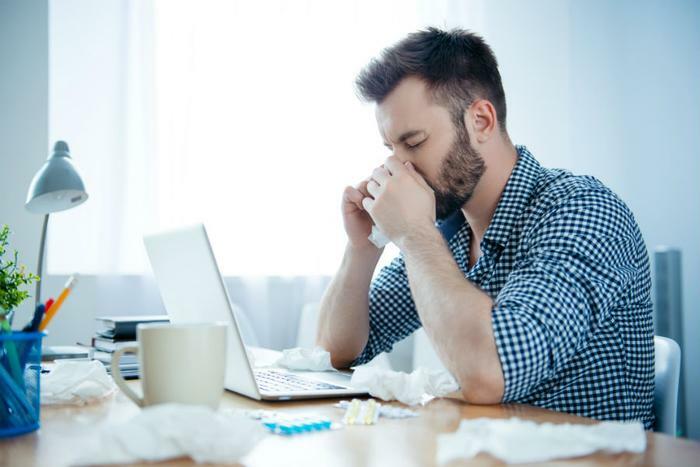 Common colds are the leading cause of work and school absenteeism in the country, according to the Centers for Disease Control and Prevention (CDC). Millions come down with some form of the common cold each year, reportedly costing the world economy billions of dollars annually due to doctor visits and missed work days. Researchers say unnecessary antibiotic treatments prescribed to treat the common cold are also a primary source of the population’s growing antibiotic resistance problem, as well as a drain on the world’s medical systems. The new research findings have been published in the journal Nature Chemistry.